Yesterday we had the fantastic news that HRH The Duchess of Cambridge is to join the Scouts. The duchess will be helping out with the Beaver Scouts and Cub Scouts near her home on Anglesey, as well as supporting other specific projects. If this has inspired you to help us out, then it’s really easy to get involved. 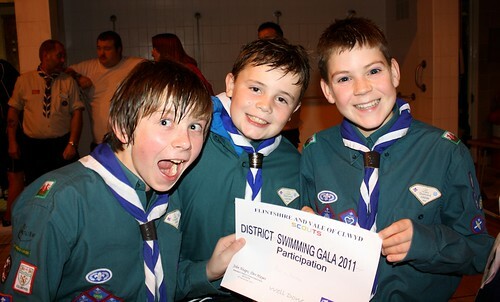 Just give us a ring on 0845 300 1818 or visit http://www.scouts.org.uk/join – if you have any specific questions about local Scouting in Wrexham, reply to this and I’ll get back to you. The key message we’re trying to get across is that we offer Flexible Volunteering – adults (and young people aged 14-18) can volunteer on their own terms. There’s no commitment to volunteer long term, and there’s no commitment to volunteer every week. There are ways you can help us in your own home, doing admin jobs for example, or you can help out as part of another hobby you have – passing on enthusiasm for a sport or skill to the next generation. Scouting can help you: you try activities you’ve never even heard of, you make new friends, and it’s very rewarding. You also pick up skills that are useful in the workplace, for example teamwork and organisational skills. If Kate can find the time, anyone can…!